Ciriguela ( Spondias purpurea, ANACARDIACEAE ). The caterpillars grow to a length of about 4 cms. They pupate in a cell in the soil. 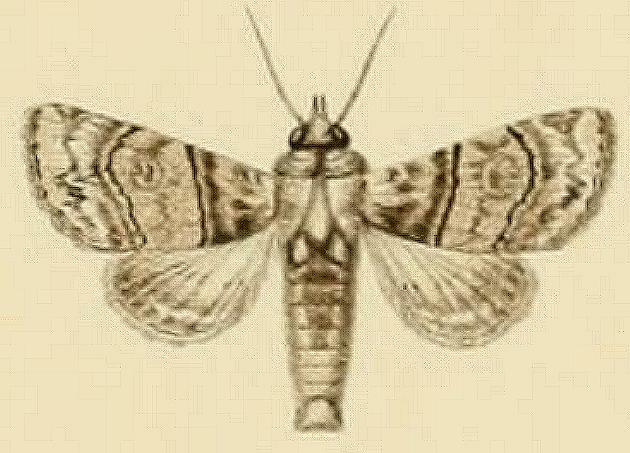 The forewings of the adult moths of this species are grey, and each has a pattern of dark lines and markings, including a vague grey eyespot spot near the middle. 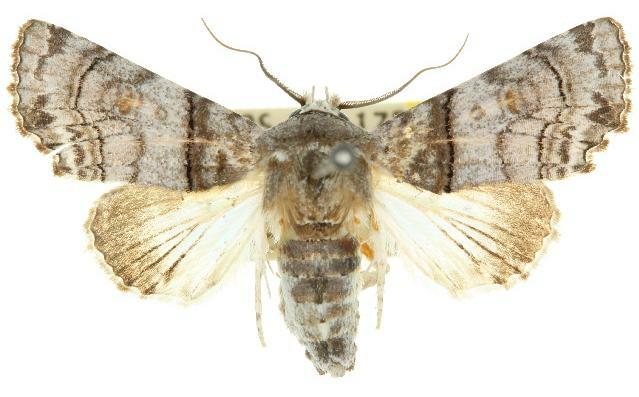 The hindwings are off-white. The wingspan is about 3.5 cms. Volume 13 (1906), pp. 227-228, No. 115. Band 2, 1900, p. 532, No. 386, and also Plate 60, fig. 8, and Plate R, fig. 4.